Please note this particular item is a Santa & Rudolf design. Please see HERE for our other designs. 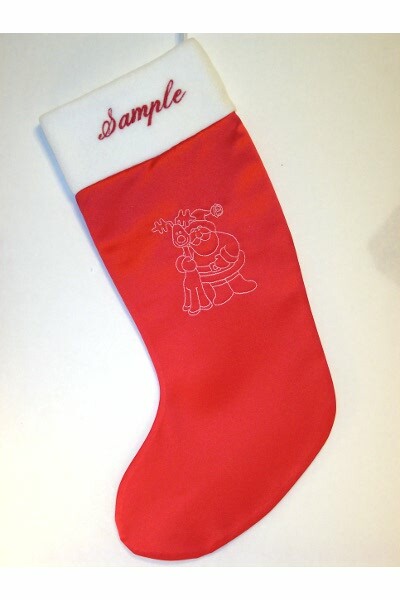 The stocking is 48 cm from the tip of the toe to the opposite edge of the cuff. The circumference of the opening is 36cm. It will easily fit plenty of small gifts or even a 750ml bottle of wine or champagne inside. 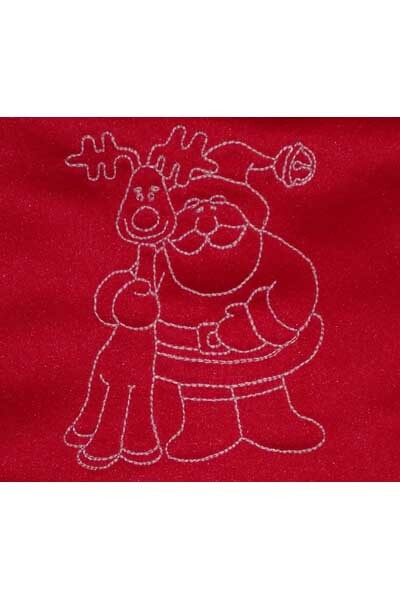 This item will be personalised with your name and our Santa & Rudolf design. We will also need the name you want embroidered on the cuff.